Recently, a long-time Liniar customer was scrolling through Facebook and came across an image of the new Elevate lantern roof. 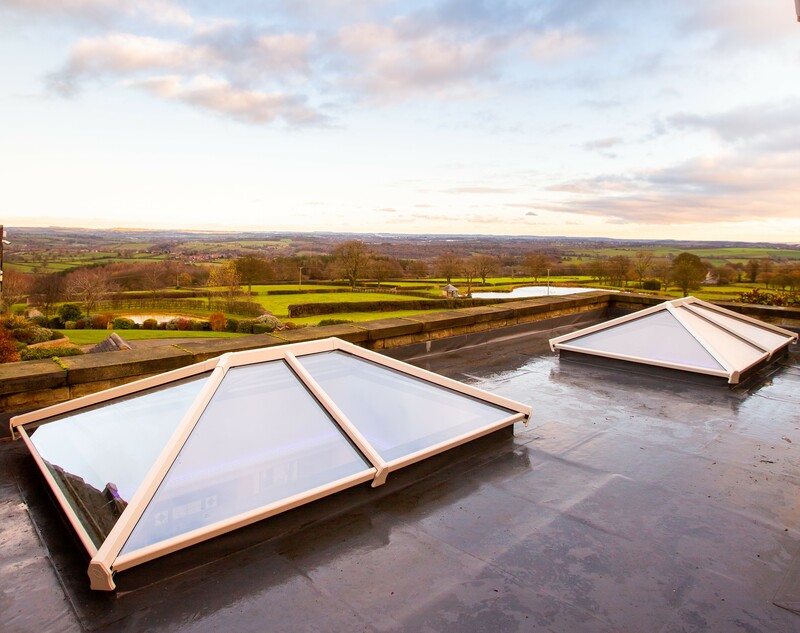 As an owner of two of the original PVCu Liniar lantern roofs, once he saw Elevate, he knew this would be the perfect replacement for his ageing, existing lanterns. 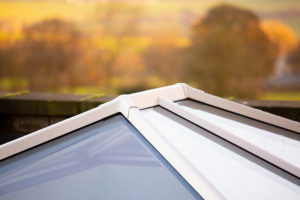 There’s a marked difference between Elevate and Liniar’s classic PVCu lantern roof. With vast expanses of glass, slim sightlines and the ability to be installed without transoms, Elevate is in a class of its own. 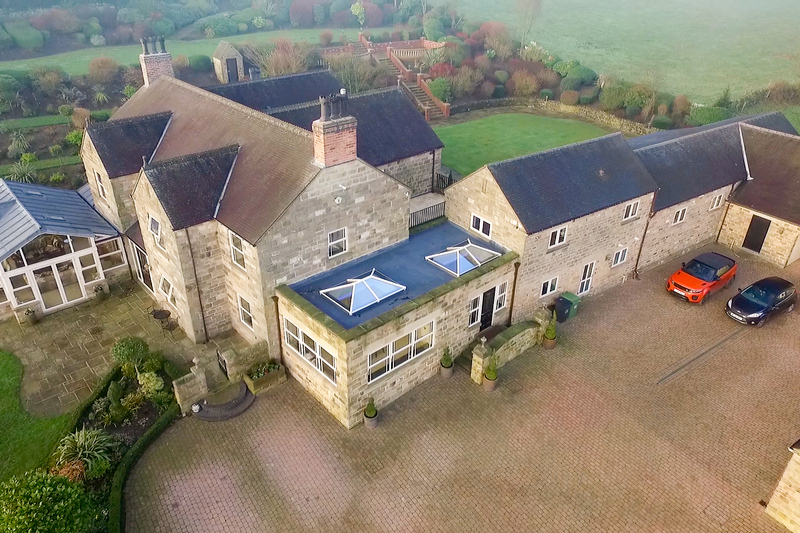 Once the homeowner ordered two bespoke Elevate roof kits from his local installer, it was a short five days for delivery – surprising considering each Elevate kit is measured and cut to fit each job. 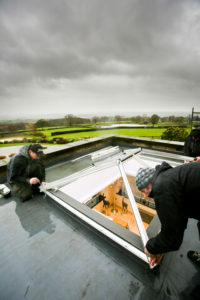 When the day of installation came, Elevate’s claim of a ‘30 minutes or less’ installation time was going to be tested. The team was welcomed to the house on the top of the hill with the driving rain and 60mph gusts of wind of Storm Callum – and it was clear the job wasn’t going to be without its challenges. 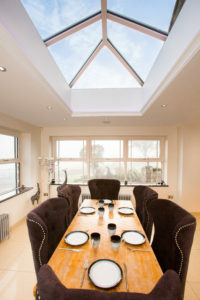 The homeowner chose cream foiling to match his existing Liniar windows suite and conservatory, as well as the optional transoms for a more traditional look. Fit and finished in a morning, the sun was out by the time the team wrapped up – and the ‘after’ photos are spectacular. 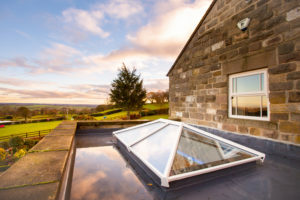 Available direct from Liniar or your local fabricator, the Elevate lantern roof kit comes with everything needed to install, and it’s quick and easy to order. With a maximum size up to 2.4m x 5.4m, Elevate has a wide range of applications and will raise the sophistication of any space. 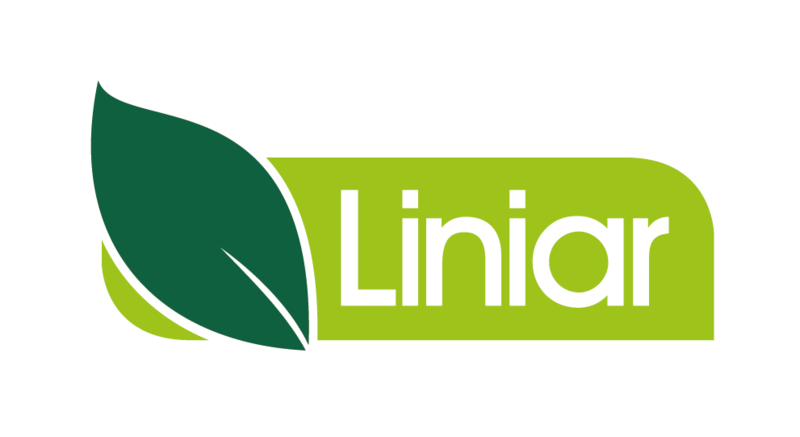 Choose from 36 colour combinations on just a five-day delivery, and Liniar’s 10-year guarantee covers you as standard.